Every 20 minutes there is a bus between Antalya and Kemer. 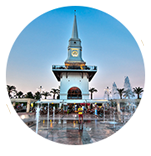 The last stop is Kemer clock tower. From there you can take Kiriş bus which passes in front of DoluSu Park. 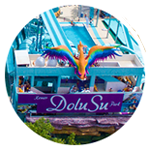 From Kemer clock tower you can take Kiriş bus which passes in front of DoluSu Park. Directions: Take the Antalya Kemer D400 highway towards Kumluca. About 7 km after passing Kemer, exit left at the Kiriş sign. Follow the road that continues from under the bridge and you will see the DoluSu Park Phoenix. 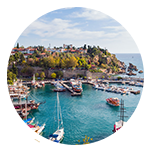 If you have any questions, you can contact us at +90 242 824 7707. Your thoughts are valuable to us. Don’t hesitate to contact us, we would be more than happy to assist you. Your message will be answered as soon as possible.